The UK Tier 2 Visa is a general visa which is available to workers who have already been offered employment within the UK. There are several versions of the Tier 2 visa which are available depending on the applicant's circumstances. In these complete guidelines about the UK Tier 2 Visa, you can find out everything that you need to know about applying for this visa type. What Is The UK Tier 2 Visa? What Is The UK Tier 2 Visa? You are eligible to apply for the UK Tier 2 Visa if you have already received an offer of employment from a UK employer for a skilled role and if you are from a country that is outside the EEA and Switzerland area. In order to be eligible, you will also need to be in possession of a certificate of sponsorship which has been issued by a licensed UK sponsor. The application process of applying for a UK Tier 2 Visa takes around three weeks for a decision to be made; however applications can be made up to 3 months before your prospective date of starting work in the UK. What Does A Tier 2 Visa Cost? The price of a Tier 2 visa depends on your country of origin, whether you are applying from inside or outside the UK and whether or not you are bringing any dependents into the country with you. It will also depend on which of the Tier 2 visa types you are applying for. There is also a healthcare surcharge on top of your fee payment. What Types Of Tier 2 Visa Are There? Tier 2 General Visa - This visa lasts for up to three years. Tier 2 General Visa - Shortage Occupation - This is a 3 year visa which is applicable for those who are coming to the UK to work in a shortage skills area. 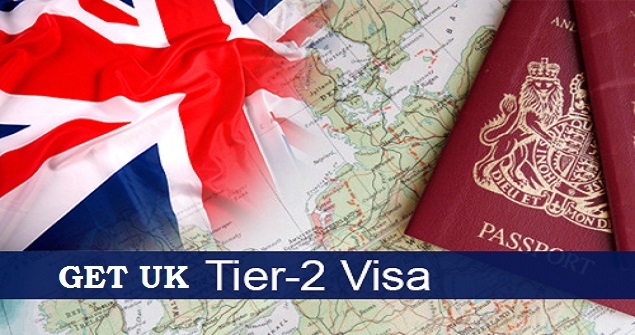 Tier 2 General Visa (more than 3 years) - This is an appropriate visa for those who will be working in the UK for a longer period than 3 years. Tier 2 General Visa - Shortage Occupation (more than 3 years) - This visa is for those who will be working in the UK in a shortage skills area for a longer period than 3 years. How Long Can Tier 2 Visa Holders Stay In The UK? The maximum period that a Tier 2 Visa holder can remain in the UK is five years and 14 days, or the time period stated on the sponsorship certificate plus one month extra, whichever period is the shortest. Visa holders cannot begin their stay more than 14 days before the date on their certificate of sponsorship. Applicants are permitted to apply for an extension of their visa for another 5 years; however their entire length of stay cannot exceed 6 years in total. What Can Tier 2 Visa Holders Do? Those who are accepted for a Tier 2 Visa are permitted to remain in the UK for the specified period and to work for their sponsor employer in the job that is on their certificate of sponsorship. They are also permitted to undertake a second job within the same sector at the same professional level for up to 20 hours per week. They can also undertake any voluntary work, study and travel abroad and return unhindered to the UK. Visa holders are also allowed to bring dependents and family members into the UK with them. Holders are not permitted to own more than 10% of their sponsor's shares unless their salary is over £155,300 per annum. They are also forbidden from receiving public funds and applying for a second job until they have commenced working for their sponsor. What Is The Eligibility Criteria For A Tier 2 Visa? Certified translations of any documents not in English or Welsh.